Cannabis, commonly known as marijuana, is a genus of plants that encompasses a few different species. The two species commonly used for their psychoactive properties are Cannabis sativa and Cannabis indica, and the third is Cannabis ruderalis. 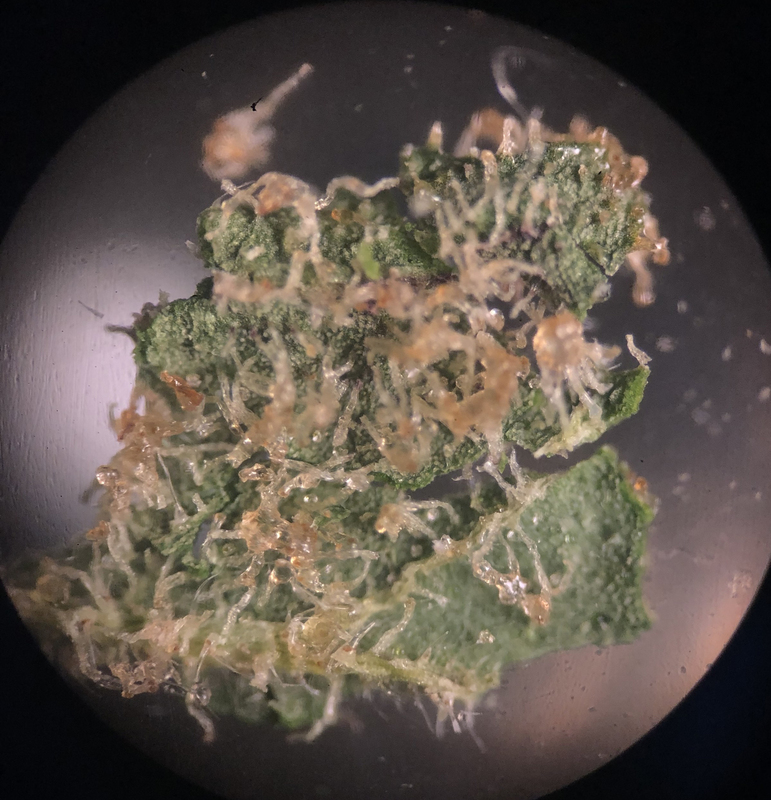 These three species differ from each other in their cannabinoid concentrations, their psychoactive effects and their cultivation history, but they all have at least one thing in common: trichomes. The word trichomes comes from the Greek word for hair, so it makes sense that trichromes look a lot like tiny little plant tresses. Trichomes serve a huge variety of purposes depending on the plant, but in all Cannabis species they accumulate cannabinoids like CBD (cannabidiol) and THC (tetrahydrocannabinol), as well as other compounds. Cannabis plants are dioecious, and it is the female plants that feature trichomes in abundance. As such, it is typically the female Cannabis flowers that are harvested and used for their physiology-altering properties. Trichomes are what makes dried cannabis sticky and smelly. Before harvest, they afford Cannabis plants some protection from small herbivores that are deterred by the strong taste. 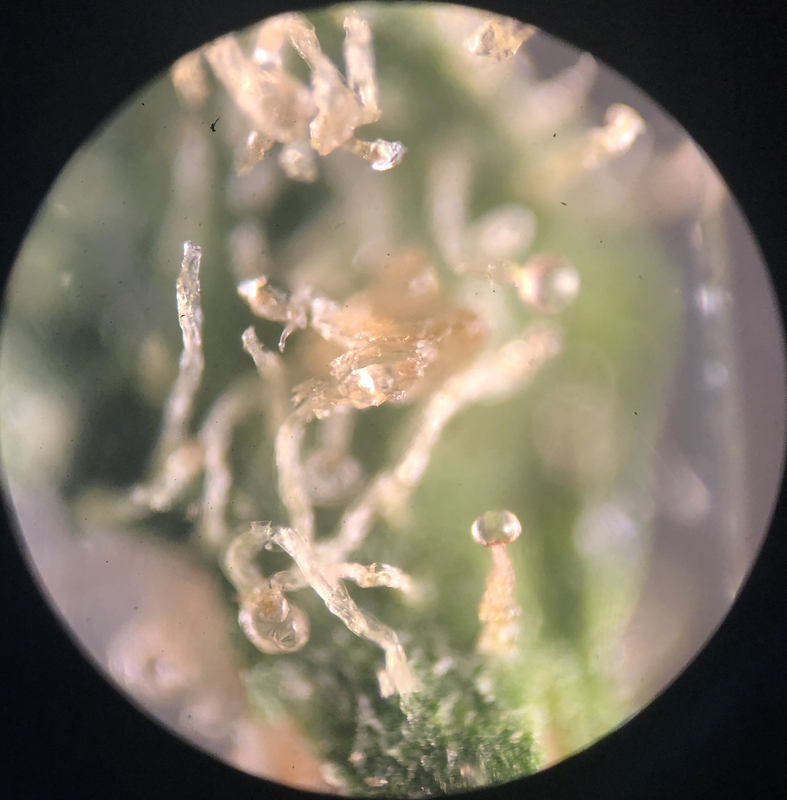 Cannabis trichomes change colour as the plant matures, from translucent to an amber (as seen in the picture), allowing farmers to use them as a guide of when to harvest their plants. In other plants trichomes can serve to help keep frost away from leaves, to trap water from the air and even to help catch bugs to eat. The scale-like leaves that cover pineapples are trichomes, as are the prickles that inject irritants on plants like stinging nettle.